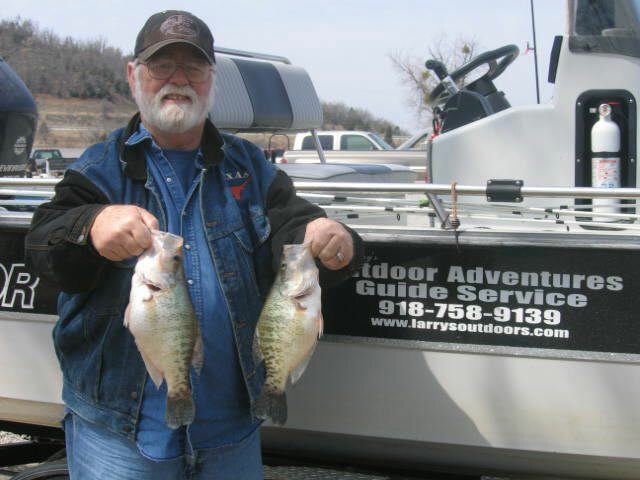 Welcome to Outdoor Adventure Guide Service. 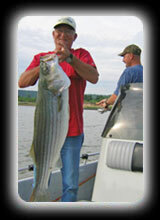 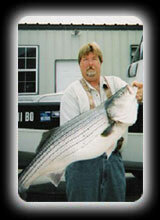 My name is Larry Burchfield a licensed Oklahoma fishing guide. 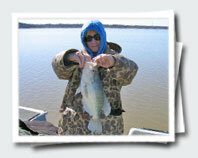 Ive been fishing my entire life and have been Fishing Lake Eufaula since 1979. 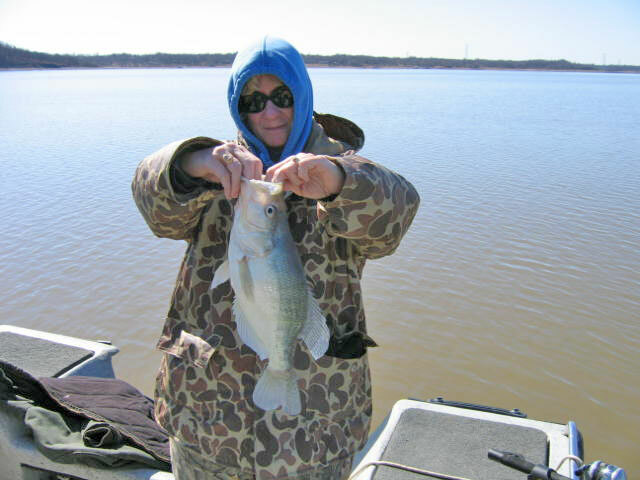 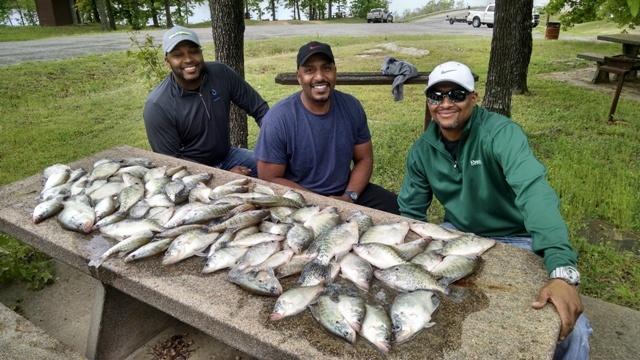 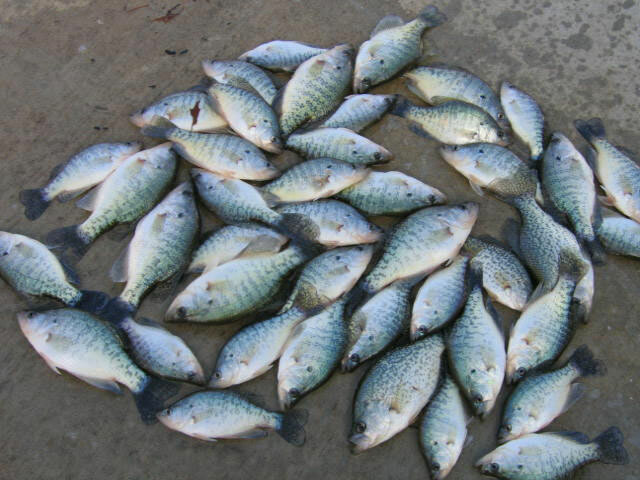 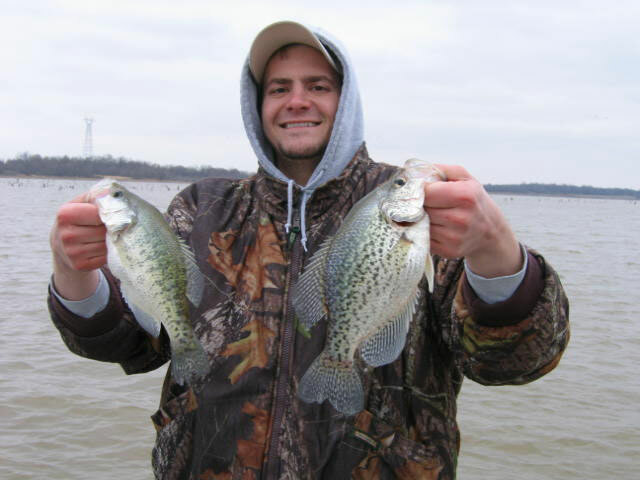 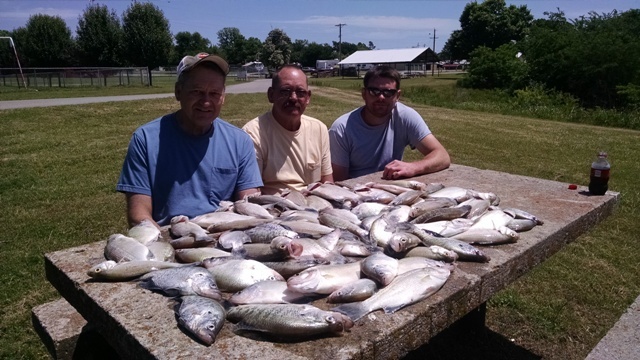 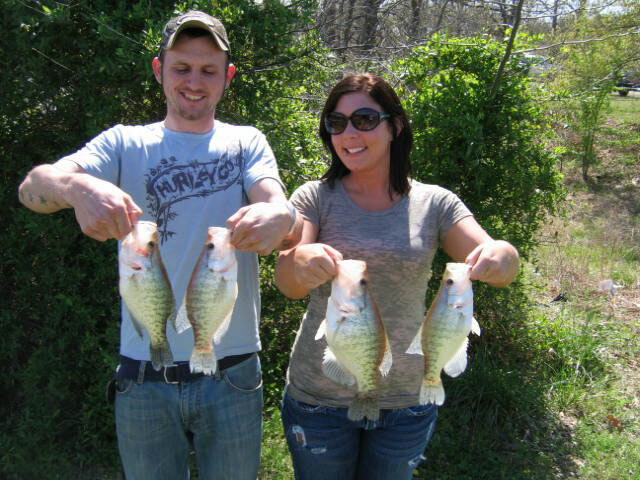 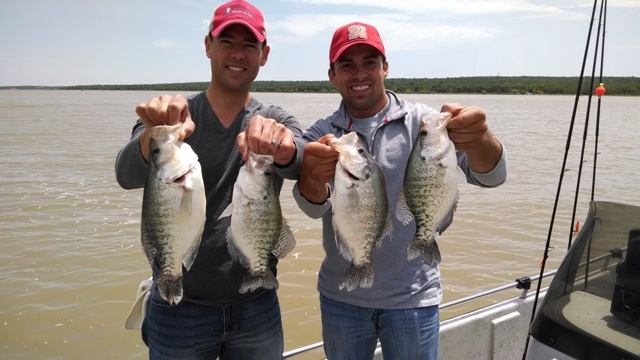 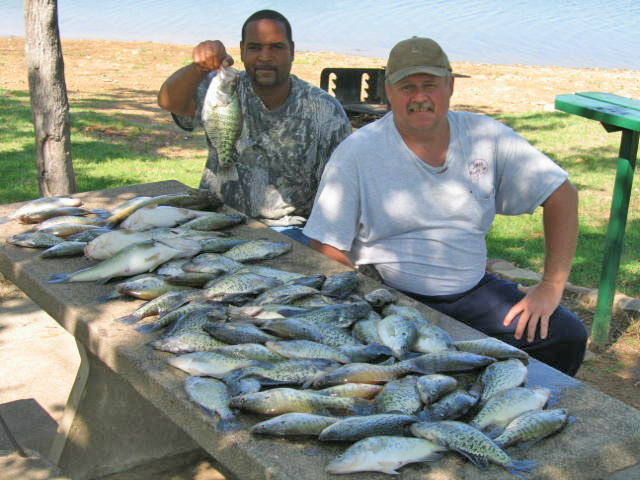 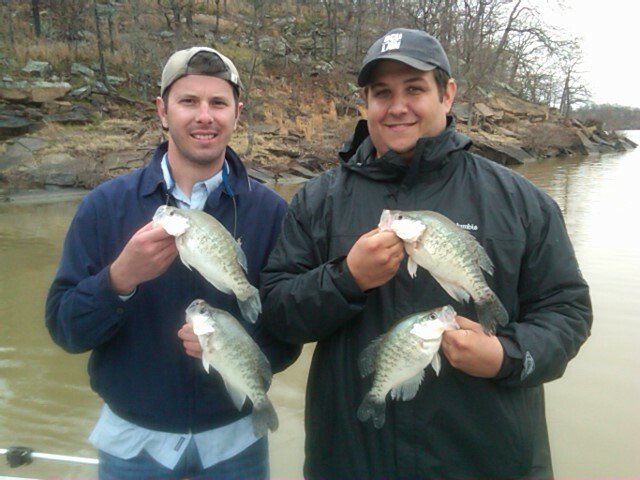 Lake Eufaula offers some of the best Crappie fishing in the state of Oklahoma.Lake Eufaula has an over abundance amount of Crappie. 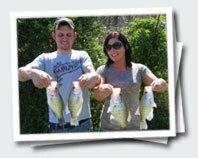 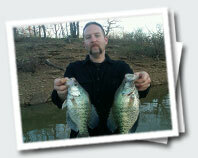 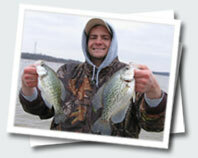 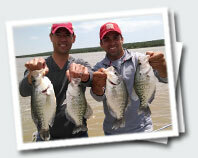 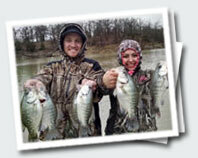 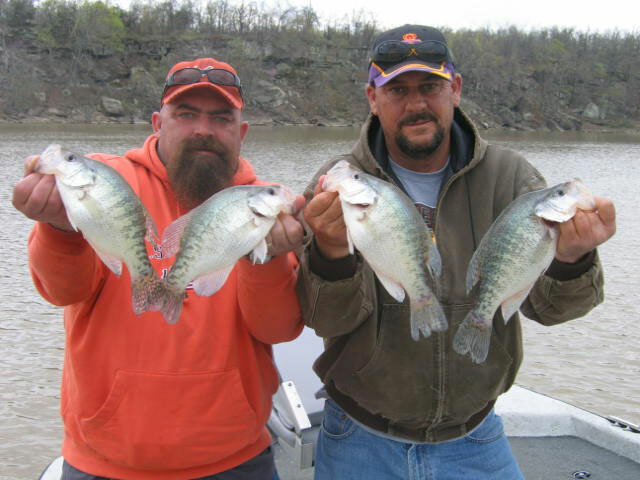 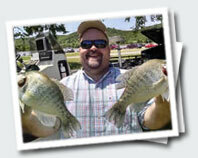 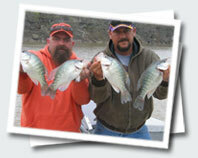 Known nation wide to be one of the best Crappie fishing lakes in America. 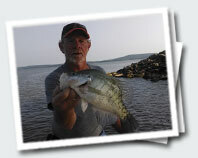 There are many ways of catching Crappie. 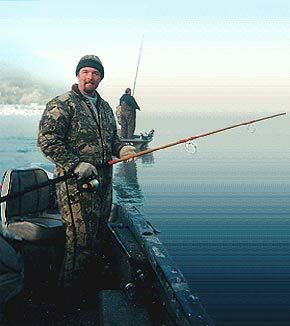 Your guide will teach you all the newest methods and fish catching techniques.Slow Trolling, Spider Rigging, Jigging, Dipping standing timber. 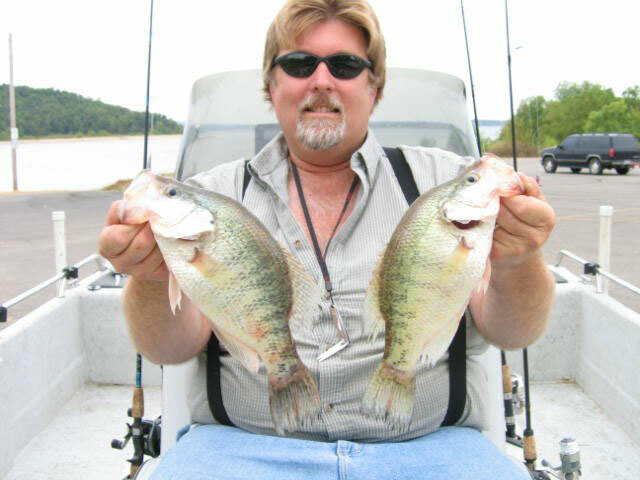 You will learn not only how to catch Crappie in the Spring but the Fall, Winter and Summer patterns as well. 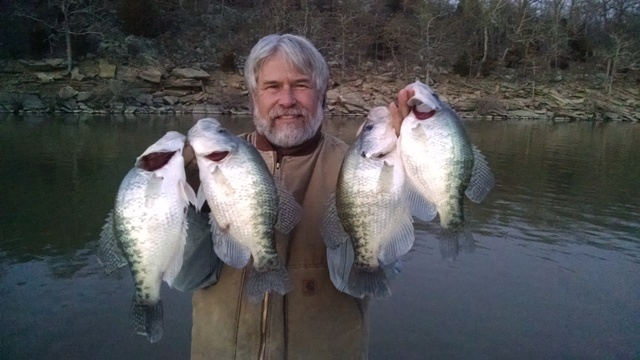 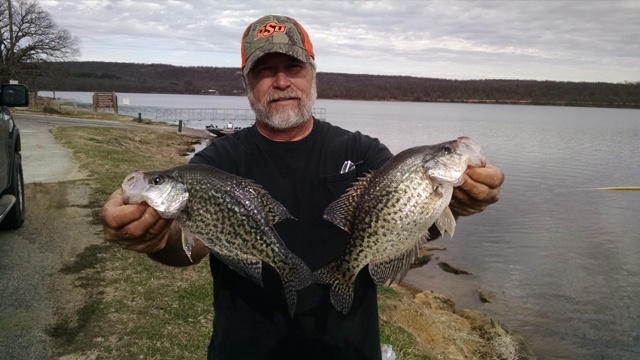 You will be able to catch Crappie year around after learning these new simple techniques. 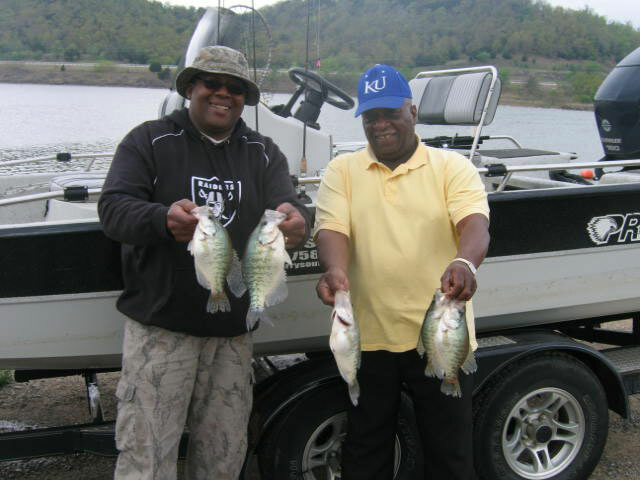 Just bring your lunch and proper clothing for an enjoyable day of fishing.We provide all rods, reels, tackle, and the best electronics available today for your fishing adventure. 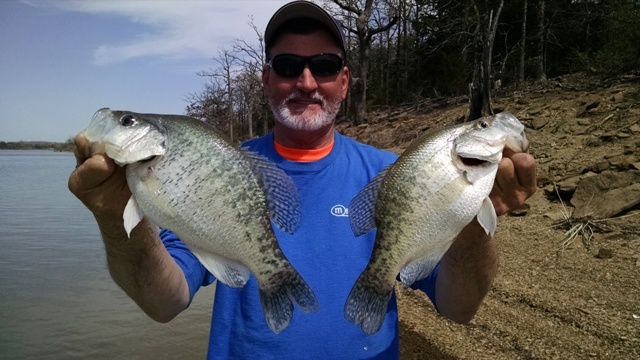 Just ask the locals and they'll tell you the Crappie are biting. 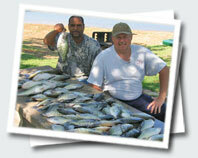 Once your guide finds the general areas they are feeding, the action is fast and furious. 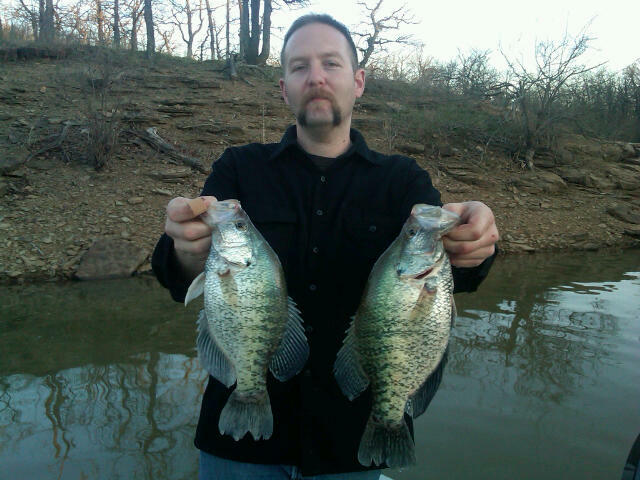 Often you can even catch two at a time! 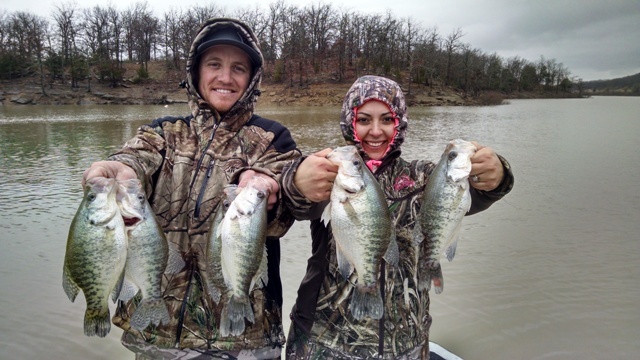 This type of fishing is Ideal for kids and experienced fishermen alike.Crappie are great to eat and provide plenty of action and this lake is full of them! 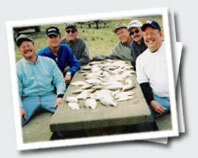 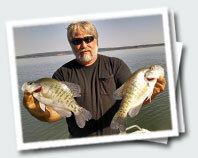 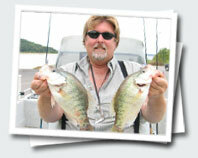 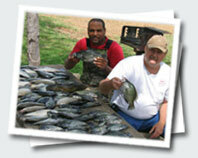 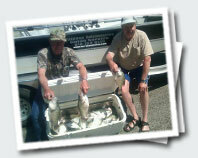 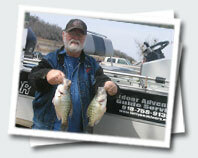 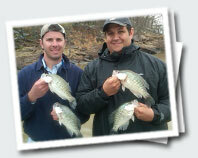 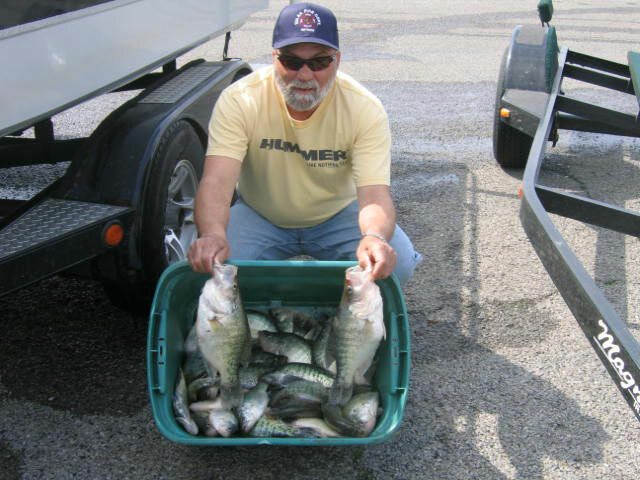 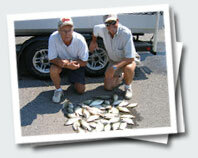 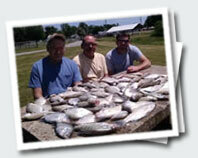 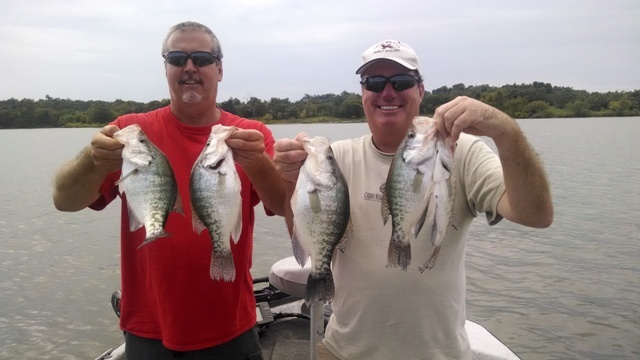 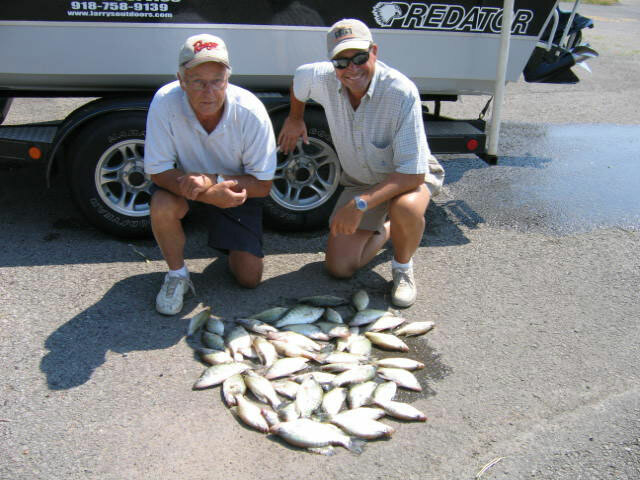 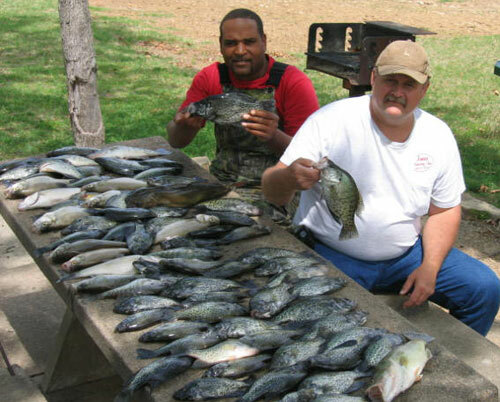 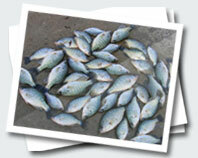 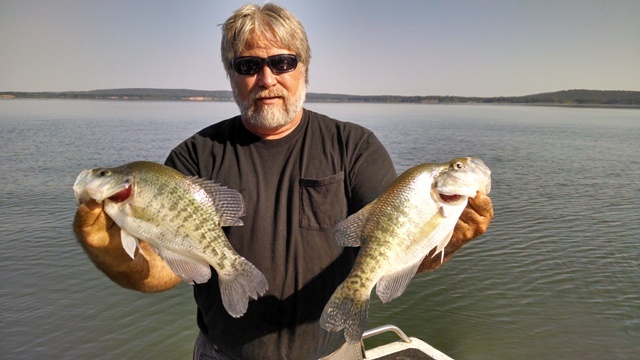 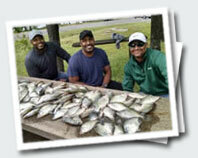 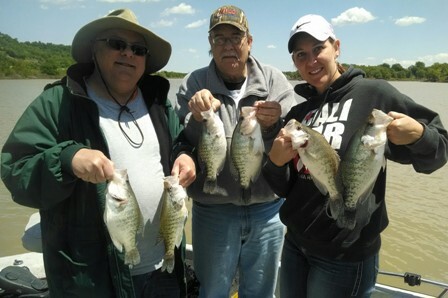 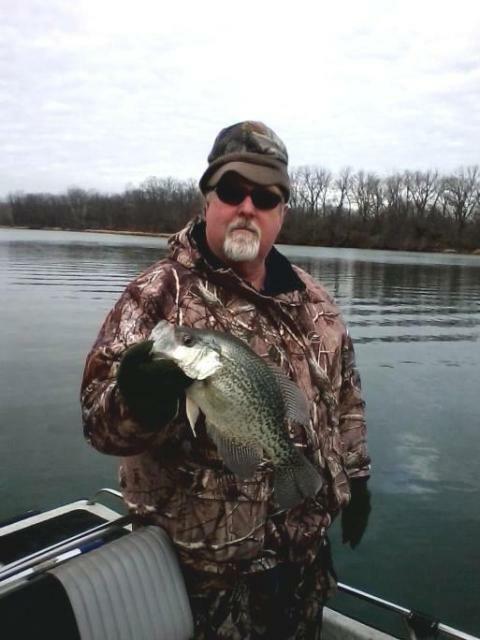 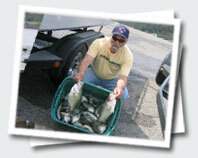 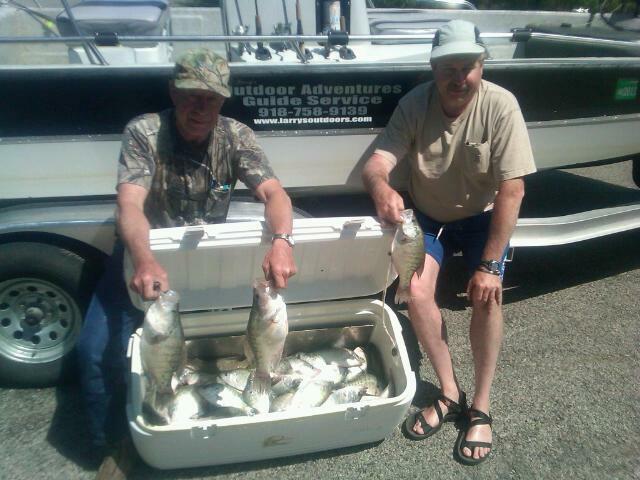 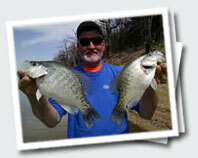 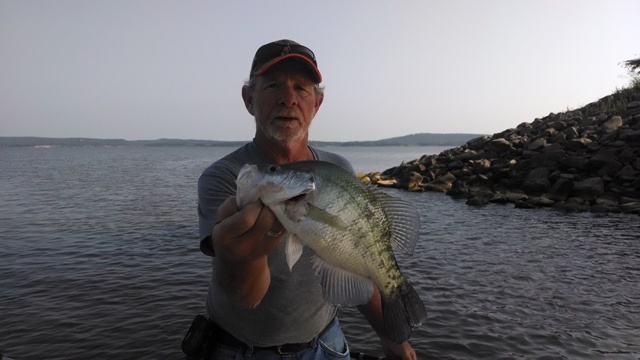 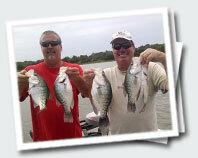 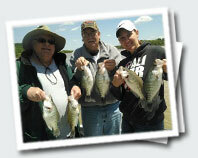 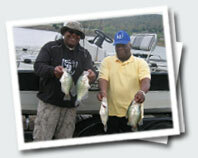 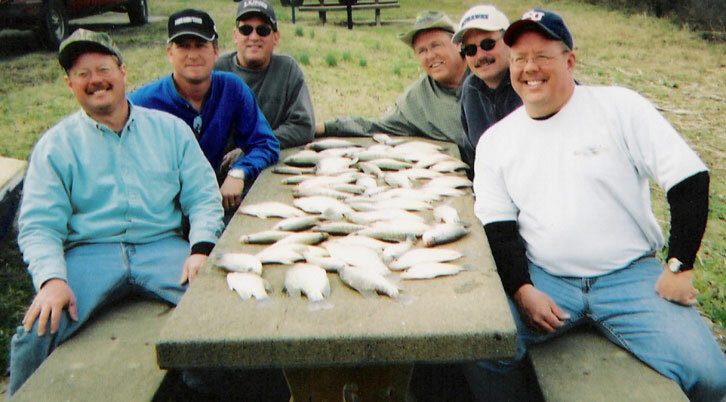 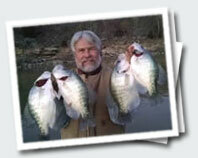 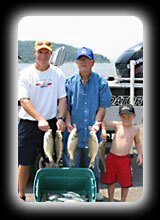 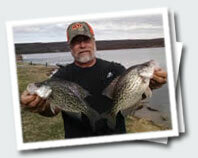 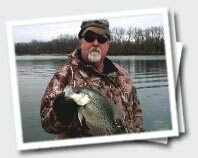 Come spend a day with Larry's Guide Service - Over 30 years experience fishing for Lake Eufaula Crappie.